Enter in your mobile phone number or e-mail address and we will notify you when g2 MicroSD Florianopolis to Falkland Island is back in stock. 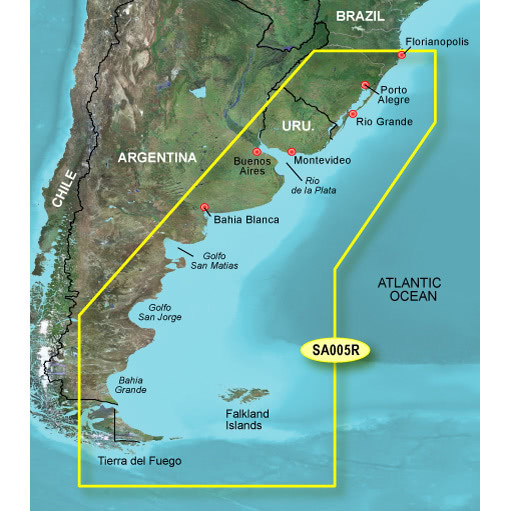 Coverage of the Southeast coast of South America from Florianopolis, Brazil to Tierra del Fuego. Coverage includes Porto Alegre, Brazil; Montevideo, Uruguay; and Buenos Aires, Argentina, as well as the Falkland Islands in their entirety.